Submitted by Lynne on Mon, 26/11/2018 - 19:01. Another very successful couple of flower-arranging afternoons in the village. 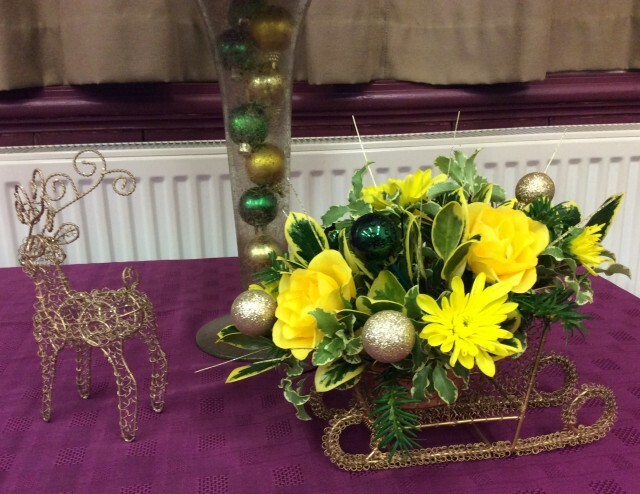 There were 38 ladies and 1 gentleman on the first afternoon when I demonstrated ideas for Christmas arrangements. There will be more flower-arranging in the Spring.